UM-Flint student entrepreneurs Greg Hooper, Jennifer Wenzlick, and Sean Tabor. UM-Flint senior Greg Hooper was energized throughout his recent trip to Detroit. Hooper, and two others from the Flint campus, spent the day with peers from the Ann Arbor campus last month, visiting startups in Detroit, meeting with alumni, and networking. 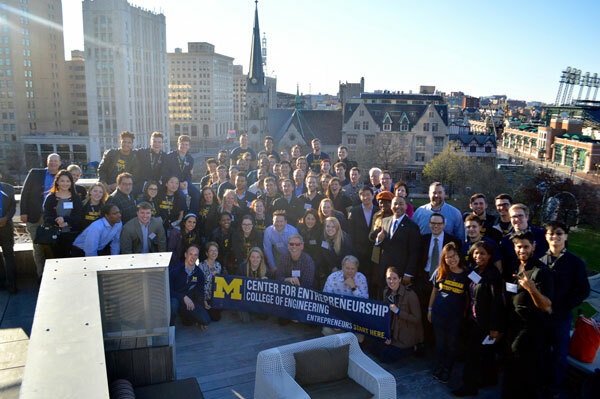 He was one of 49 University of Michigan students participating in DTrek, a program of The Center for Entrepreneurship, which is part of the university’s College of Engineering in Ann Arbor. Hooper, who is studying entrepreneurial management, enjoyed representing UM-Flint during the trip, and sharing his experiences and expertise with those from the Ann Arbor campus. He also learned from them, along with from the entrepreneurs who relayed their stories of starting up ventures in Detroit. This was the first time UM-Flint students participated in the program, but organizers expect students from the campus to be regular contributors on future trips. “Having all the campuses be one, all that can do is grow the university as a whole,” said Hooper, about the value of programs like DTrek that connect students with the broader university system. Fellow UM-Flint School of Management students Jennifer Wenzlick and Sean Tabor also took the trip. 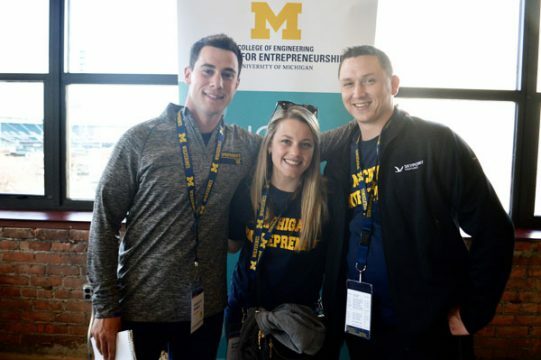 The Center for Entrepreneurship organizes and runs Startup Treks to Detroit, Grand Rapids, and San Francisco, which immerse University of Michigan students in the entrepreneurial environment, said Eric Bacyinski, the M Engage Michigan program manager within the center. He also organizes and runs all of the Startup Treks. Students must apply for the competitive spots on these trips, which draw participants from across all fields and levels of study, he said. Students break into groups and help tackle real issues the startups are facing, such as marketing or brand challenges. DTrek included visits to startups such as Detroit Bikes, Rocket Fiber, Ponyride, Grand Circus, and Invest Detroit. At the end of the day is a larger networking event, with university alumni meeting with the participants. 112 alumni, entrepreneurs, and startup founders met with students at the networking event, Bacyinski said. 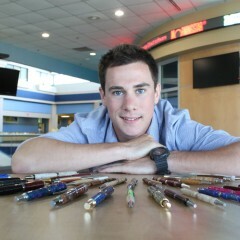 “That was pretty awesome, talking to successful alumni, and learning what they did,” said Hooper, who owns and operates his own custom pen business, Scholarly Pens. After the visits, the students discussed what they learned, how their perceptions may have changed, and how they plan to utilize what they learned. Wenzlick, who graduates this summer with a degree in human resources and organizational behavior, works full-time at the Flint fashion eyewear startup Article One. 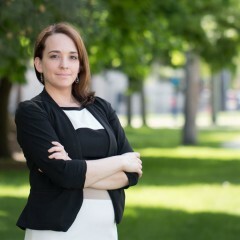 Her experiences at UM-Flint, along with the encouragement of faculty, helped prepare her for the work, which she started as an intern more than two year ago. She also helped start and run Ground Floor Market, a local business in downtown Flint. All three of the UM-Flint students who took the trip have been heavily involved with the Entrepreneurs Society at the university. “The professors here want us to succeed,” she said. And those same experiences gave her the knowledge base to identify with and learn from the startup companies she visited during DTrek. 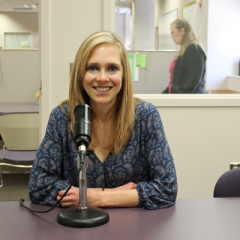 Sara Barton, the UM-Flint employer recruiting coordinator, said campus has an array of options for students to explore careers. Wenzlick said UM-Flint’s active support network helps students thrive, and the latest collaboration with the Ann Arbor campus only adds to this, and further leverages the talent found within the University of Michigan system.